"I sure appreciated how quick and cost effectively you guys took care of my leaking copper pipes under the house this past summer. Highly recommend you to anyone I know who needs plumbing service!" A sump pump is an important tool in the battle to keep your basement or crawl space free of water. 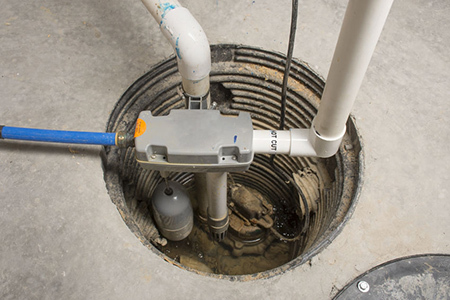 In most homes or buildings the sump pump is installed in a pit in the lowest place of the basement or crawl space. Essentially it works by pumping unwanted surface or ground water away from the home. In general the sump pump is hooked up either to a storm drain, a drywell, or the foundation drain. When water accumulates in the sump pump it gets sent away via one of these drain options. Like every other appliance in your home, your sump pump may require some maintenance periodically. Before beginning any cleaning or maintenance it’s recommended that the pump be unplugged. There are two different maintenance cycles for cleaning the pump screen and inlet opening. If your washing machine feeds into your sump pump then this cleaning should take place once a month. If it does not then quarterly is sufficient. In either situation it’s recommended that both the sump pump and pit be cleaned annually. There are a few things to watch for that will indicate a problem with your sump pump. If you hear any unusual noises – crunching, screeching, whining, clunking, or grinding, then something is wrong. Also if the sump does not run when water is lifting the float switch or when the water in the pit is high, then something is likely wrong. There are a variety of causes for these problems such as a clog in the discharge line, a failing sump pump impeller assembly or a stuck check valve. If you’re not sure the cause contact All Star Plumbing and Restoration to check it out for you. If your sump pump runs a lot it would be worth your time to have an annual inspection done by a professional just to make sure it doesn’t fail and leave you with a flooded basement. The inspector will check the cover, the discharge location and plumbing, the alarm, the check valve, the backup power supply, and the pit. Most of these are simple to fix if the problem is found early. To prevent a costly water damage problem it’s important to complete regular cleaning, inspection and maintenance on your sump pump. The team at All Star Plumbing and Restoration is here to help, give us a call today. As the saying goes “April showers bring, plumbing problems” (and May flowers). This is the time of year when much of your plumbing gets put to the test with gutters moving water into your drain pipes, outdoor faucets thawing and revealing winter problems, sump pumps needing to send water away from your home, and more. Make sure your home’s plumbing is up to the task by doing a quick run through of this spring checklist. Clean patio drains by removing any debris that has built up and putting water down them. Use your water meter to check for leaks by checking it before you go to bed and again first thing in the morning. While the majority of these items are easy to complete and require minimal plumbing expertise, there are some that you may want to consult All Star Plumbing and Restoration on. Many homeowners aren’t comfortable addressing problems with the sink traps, or addressing leaks found during a water meter test. In either of these scenarios one of our plumbers is happy to come out and quickly assess the problem and get it resolved for you. 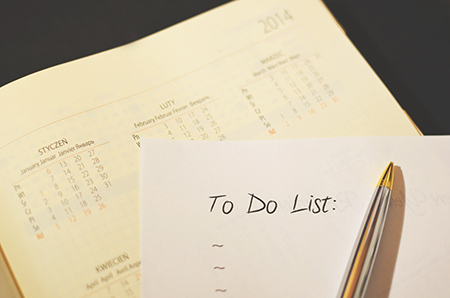 In addition if you uncover a larger problem as a result of completing this list, just let us know. It’s far easier to fix a clogged drain when you find it early, get All Star Plumbing and Restoration on it right away to reduce the size of the problem and the expense of the solution. Mold is definitely not something any homeowner wants to mess around with. It’s dangerous, difficult to completely remove, and reproduces quickly. 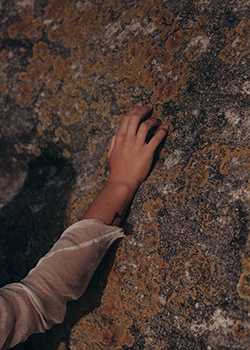 Finding out you have mold in your home may be a devastating experience, but you do have options for reclaiming your castle. There are a variety of warning signs to watch for that will give you a clue that you may have a mold problem. If you see any of these signs you should get the opinion of a professional right away. It is far cheaper and easier to deal with a mold problem before it becomes a MAJOR mold problem. When you reach the point that mold is causing health problems, you’ve got a major problem. A quick visit from All Star Plumbing and Restoration will get you an inspection and plan for remediation if necessary. Strange, Foul Smell – mold has a strong, unpleasant odor especially if it’s concentrated in one area of your home. In many cases mold will grow within the walls or behind wallpaper preventing any visible signs of a problem. In this case the smell may be the only clue you have that there’s a problem. If you notice an unusual smell in your house that just doesn’t go away, it could be mold. It’s recommended that you bring a certified mold inspector to your home to run tests and determine if in fact mold is the culprit. Moisture Problem – if you’ve had water in your home recently be it from a pipe bursting, a roof leaking, or seeping in through basement walls, then you’re at a higher risk for developing mold. Once you find moisture in your home you need to address the problem immediately to mitigate the risk. However it’s recommended that you still bring a mold expert out for an inspection a short time after the water incident just to confirm that mold is not growing. You should also stay on high alert for the unusual smell situation to develop. Visible Mold – you should check areas of your home with the greatest risk for developing mold regularly. This would be areas such as the basement, crawl space, or any other damp area. Make sure to use adequate lighting and look closely in corners, the ceiling and the walls. It would also be a good idea to have a mold inspector come review these areas periodically. If you have certain times of the year, such as spring which has an increased chance of rain or snow melt, that are known to create water problems in your home, then this is the best time to bring out the inspector. Of course if you develop any of the health problems commonly associated with mold such as watering eyes, persistent congestion, or an inability to focus you should seek both medical care and an inspection for mold. Contact All Star Plumbing and Restoration and make a mold assessment part of your spring cleaning. Looking forward to bringing color back in to your landscaping? Everyone is feeling the spring bug and is ready to start planning for their garden and flowerbeds. Here are a few of the best options for flowers that will last for years to come, and will get larger and more colorful each season. Bleeding Heart – these stunning flowers have been popular for generations. Their heart shaped flowers add pink and white colors to your flowerbed. They begin to emerge in early spring with flowers showing in May. They grow best in the shady spots of your yard. Daylily – one of the best features of the daylily is the variety. With over 35,000 varieties of daylilies you’re sure to find a color you love. They’re hardy and will grow in sun or partial sun. Another benefit to choosing the daylily is that it will bloom multiple times during the season, resulting in over 200 flowers each year. You can divide them every few years and add their beauty everywhere. Peony – these are popular with virtually every gardener. They bloom with gorgeous, large flowers in a variety of colors including white, pink, red and yellow. They look the best in early summer but their foliage will look nice throughout the year. These are also easy to divide and spread throughout your yard. 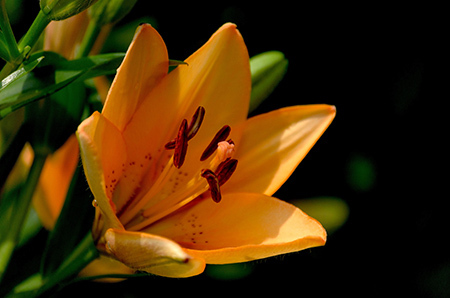 Moonbeam – if you’re looking to add the bright joy of yellow to your flowerbeds, then this is your plant. They also provide a nice balance for the other flowers listed above as these will wait to bloom until mid to late summer. Moonbeam is a great option to keep your garden colorful from May to September. It’s extremely hardy and does well in the soil and climate of the Boise area.